As Asia’s Leading Gaming Internet Exchange, LR Data Center and Solutions, Inc. or LR Data is a carrier and gaming jurisdiction-neutral technology services provider for licensed gaming communities in the Philippines and across Asia. LR Data traces its roots to First Cagayan Converge Data Center, Inc. (FCCDCI), which was established in 2007 as the pioneering hosting facility catering to the technology requirements of licensees of First Cagayan (FCLRC) and registered under the Cagayan Special Economic Zone and Freeport (CEZA). LR Data provides its customers with a host of IT and IT-related services to include MPLS-driven network; CDN; colocation; ANS and hardened DNS; ITFS, DID, VoIP, IVRS, ACD and other telephony; China TV Box; vulnerability assessment tools; anti-DDoS, phishing, spoofing and other cybersecurity tools; and network performance enforcement. The Cagayan Economic Zone Authority (CEZA) is a government owned and controlled corporation that was created by virtue of Republic Act 7922, otherwise known as the "Cagayan Special Economic Zone Act of 1995". It was authored by Senator Juan Ponce Enrile, a native of Cagayan Province, and approved by then President Fidel V. Ramos. It has been tasked to manage and supervise the development of the Cagayan Special Economic Zone and Freeport (CSEZFP). From 1997 up to the present, CEZA continues to initiate several projects to promote development in the CSEZFP. As an economic zone, it aims to develop the whole area into a self-sustaining industrial, commercial investment, financial and tourism-recreational center and, likewise, with suitable retirement / residential areas. As a Freeport, it operates as a separate customs territory similar to Hong Kong, Singapore, Lubuan in Malaysia and Hamburg in Germany. 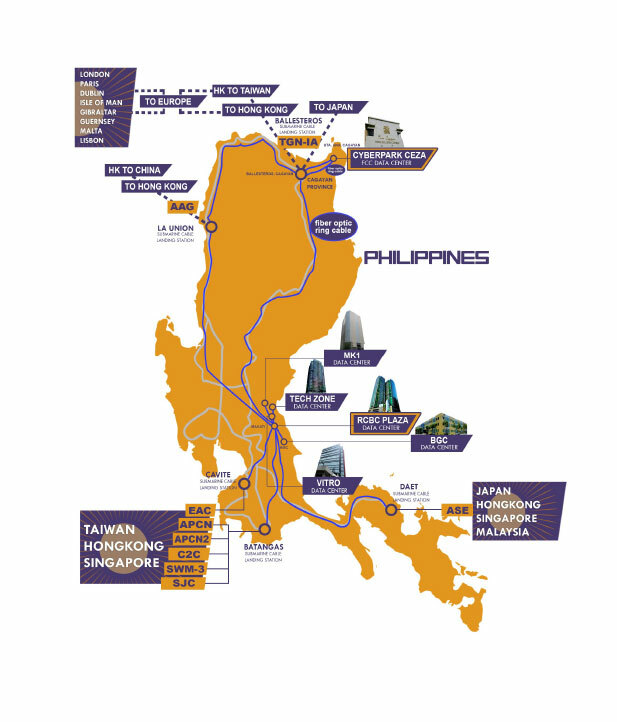 It is envisioned to be a major transshipment point for trade in the Asia-Pacific rim. In this light, it now opens itself to interesting business opportunities with attractive incentives and advantages for interested investors that would like to register in CEZA. These developments are all deemed toward attracting legitimate and productive local and foreign investments and, thus, creating employment opportunities in and around the Freeport. The Cagayan Special Economic Zone and Freeport (Cagayan Freeport) is located at the northeastern tip of the Philippines surrounded by the waters of Balintang Channel, China Sea and the Pacific Ocean. It covers the entire Muicipality of Sta. Ana and the Islands of Fuga, Barit, Mabbag in the Municipality of Aparri in the Province of Cagayan - with approximately 54,118.95 hectares of urban, suburban and agro-industrial lands for prime development. It is strategically located between the Pacific Ocean and China Sea and enjoys proximity to lucrative overseas market such as Taiwan, Hong Kong, japan, Korea, and the People's Republic of China. It is in fact situated at the crossroads of international shipping routes between the West Coast of North America, Far East and Southeast Asia. The Cagayan Freeport operates as a separate customs territory similar to Hong Kong, Singapore, Lubuan in Malaysia and Hamburg in Germany. The Cagayan Freeport is approximately a 45-minute flight from Kaoshiung Taiwan's largest industrial and shipping center, and only a few minutes longer from Hong Kong. For more information you may visit their website at www.ceza.gov.ph. The coming years will be very exciting for the Online Gaming Business and LR Data is ready for the challenges that lay ahead. We are the pioneer and leading technology provider for online gaming operators in Asia. We are focused on continually improving our services to drive industry growth and we are committed to remain the industry leader in the years to come. We have spent the better part of this year on research and development, the results of which include an overhauled network infrastructure delivering end-to-end MPLS from the Philippines to the rest of Asia and Europe. Apart from our network upgrade, we have developed bespoke, best-in-class online gaming solutions that will enhance LR Data online gaming operators’ competitive advantage. We have partnered with Global Tier 1 providers via an NNI to deliver bandwidth, disaster recovery, DDoS mitigation and other security layers to multiple countries around the world. We have also partnered with Global leaders in hardened ANS and DNS; next generation flow-based network management platforms; and vulnerability assessment and resolution tools with the end goal of having a fully-redundant and hardened gaming network infrastructure. These strategic partnerships have enhanced our presence across Asia and Europe. We are confident that our expanded network reach shall open innumerable opportunities and competitive advantage to LR Data online gaming operators.